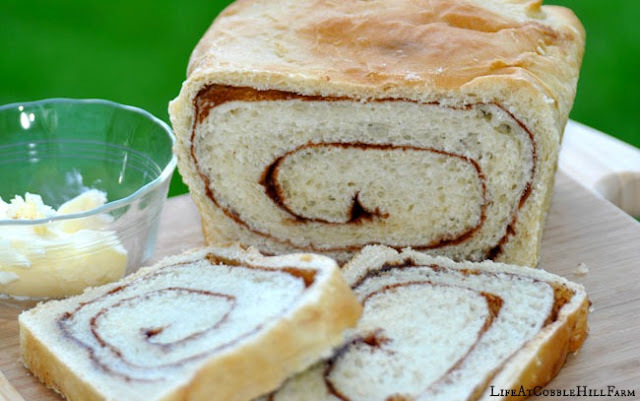 Cinnamon Swirl bread is one of my FAVORITE breads ever. It's not too difficult to make, makes 3 loaves (or 2 plus a tray of cinnamon rolls......which is my personal choice of using the dough), and is amazing toasted on a cold fall morning. Some of our veggies are still coming from the garden. Potatoes, carrots and kale continue to make themselves available. Have I mentioned how much I love growing a garden??? Because most of this weeks meals come from the freezer, garden and pantry, I used some of this week's budget to stock up on a few things that I like to have on hand in case I need to create a different meal one night. The last meal plan and this week's are a bit late. It's been a sick household the last 2 weeks with me still suffering the remnants of a sinus infection. Here's to hoping we can put this behind us. Soon!